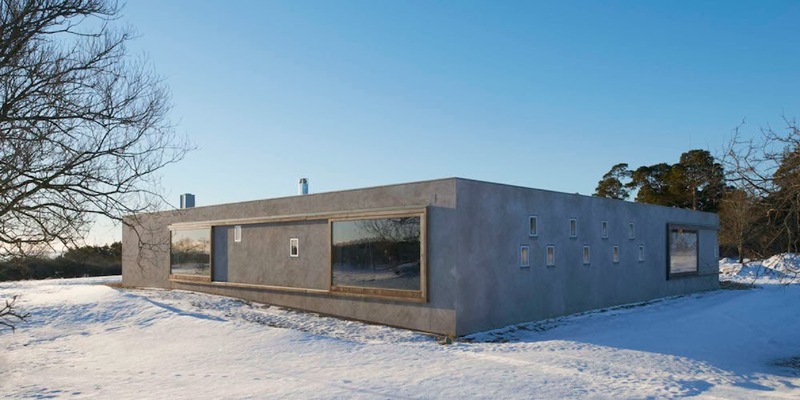 Atrium House is located on Gotland, the largest island off the coast of Sweden, and sits on a 10th century shoreline. 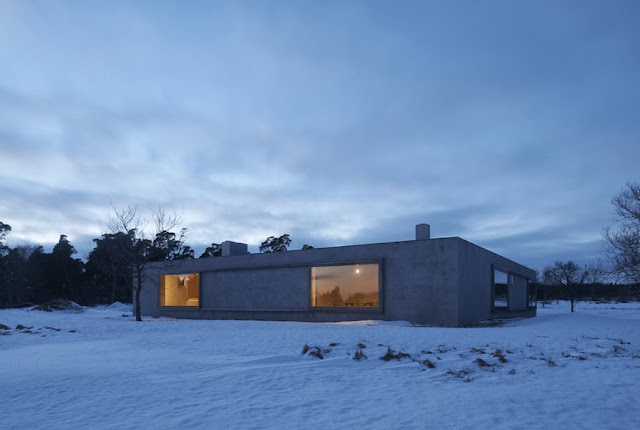 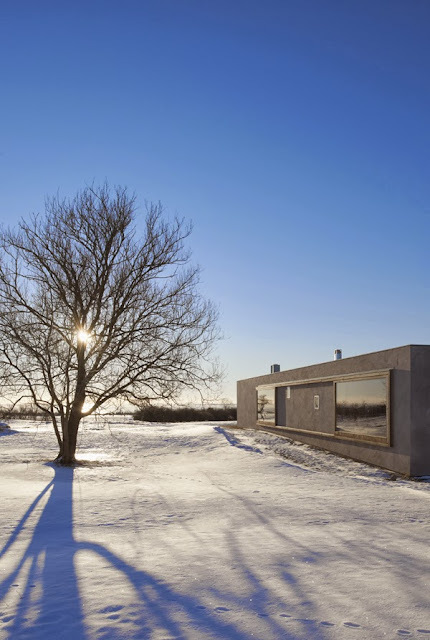 The low house is set in an open, undisturbed on which sheep graze, overlooking the Baltic sea. 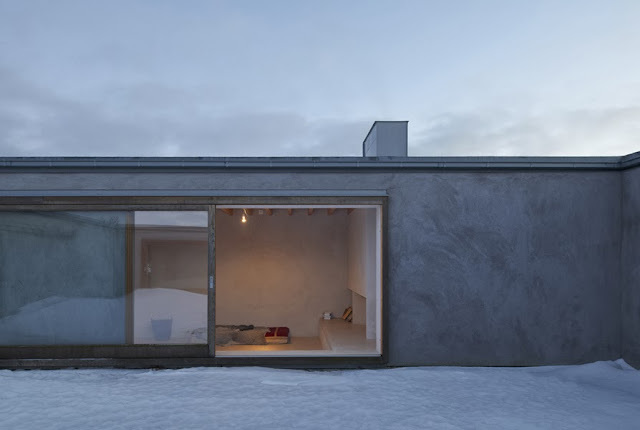 Designed by Tham & Videgård Arkitekter the family house has a square layout around a completely enclosed atrium courtyard at its centre. 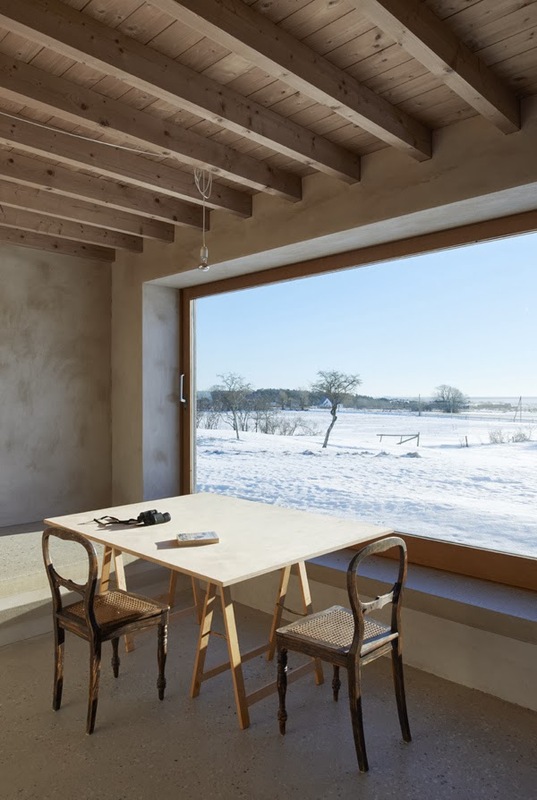 Rooms have large windows also serving as sliding doors, while the interiors are minimal, calm and spacious. 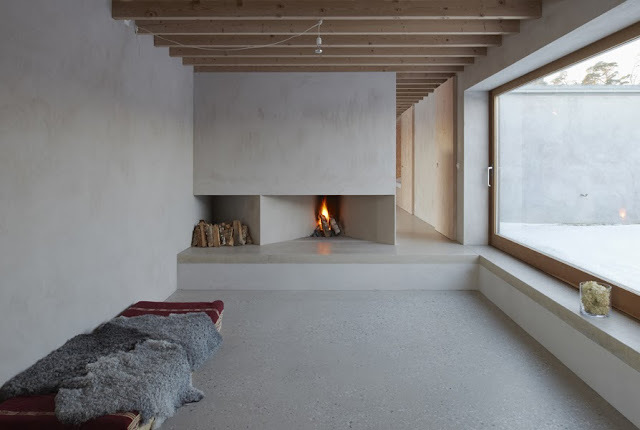 Custom designed fireplaces, recessed shelves and beds are built into the internal walls that are covered with natural plaster. 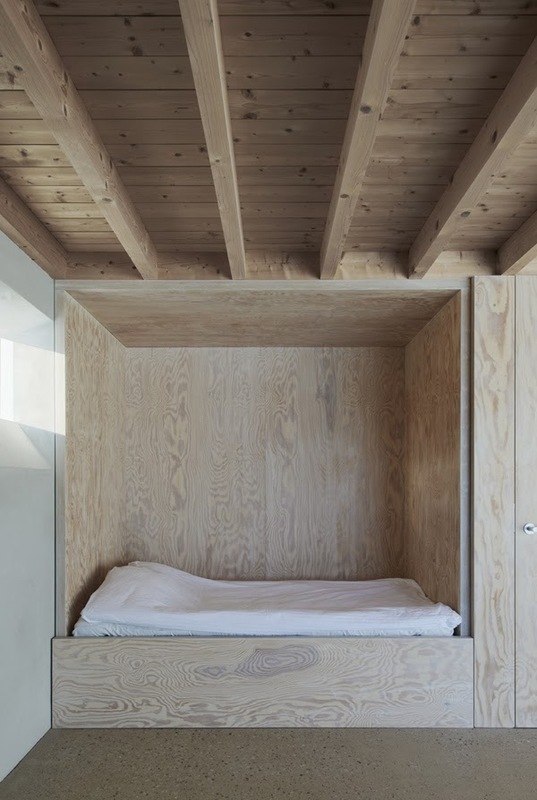 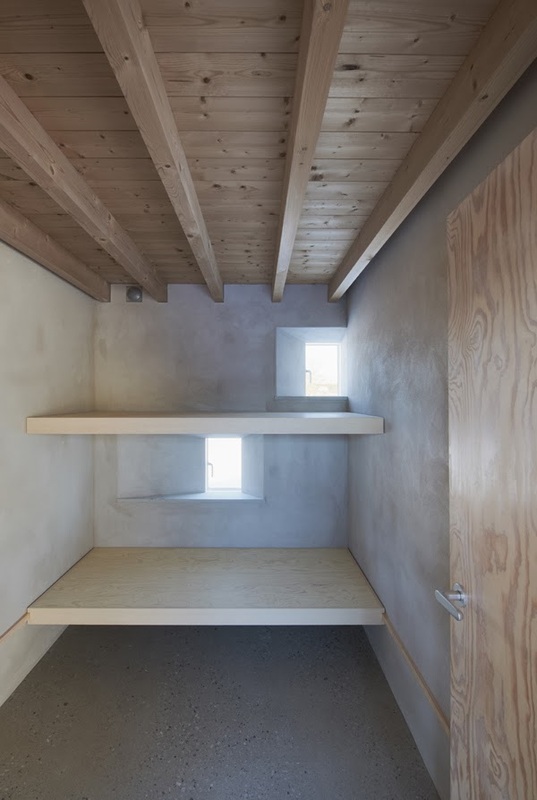 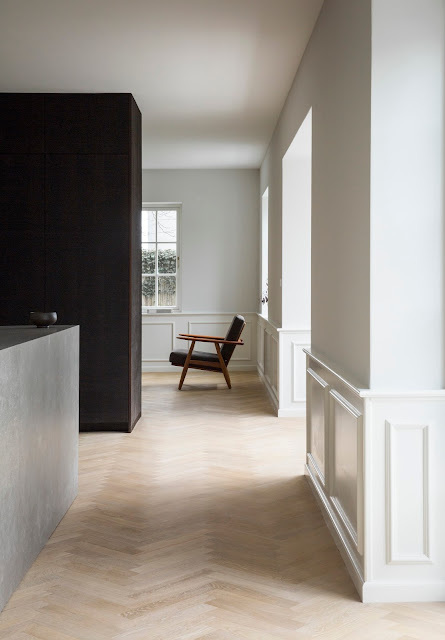 Exterior walls are rendered in a unifying dark grey tone, while in the interior, ceilings have no finishing surfaces applied, the bare wood is left exposed. 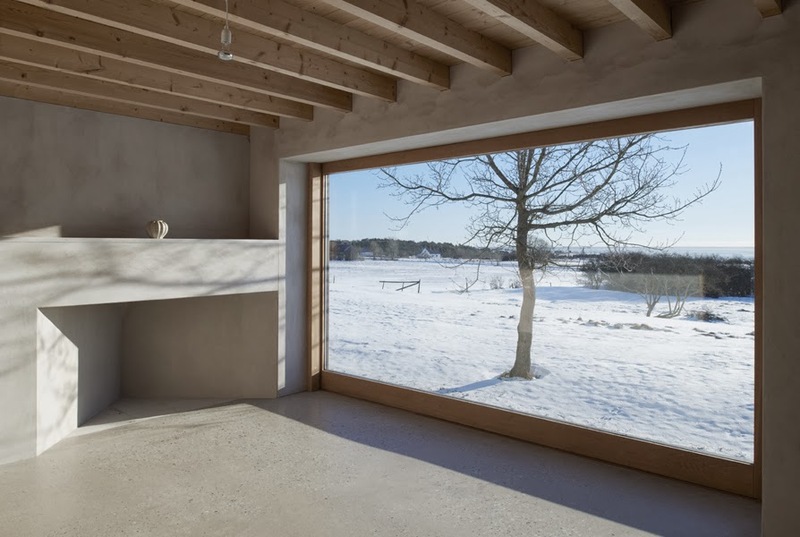 Atrium house on Gotland. 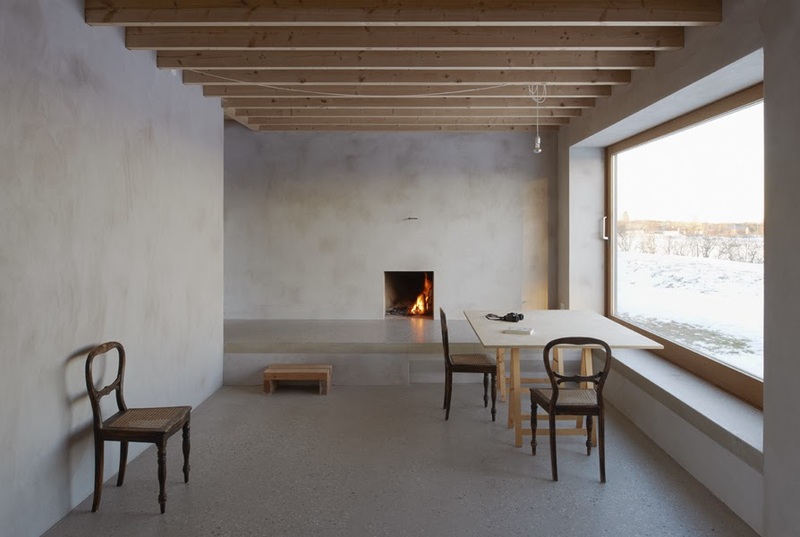 Situated on a 10th century shoreline, a low house set in a vast landscape, overlooking the Baltic sea. 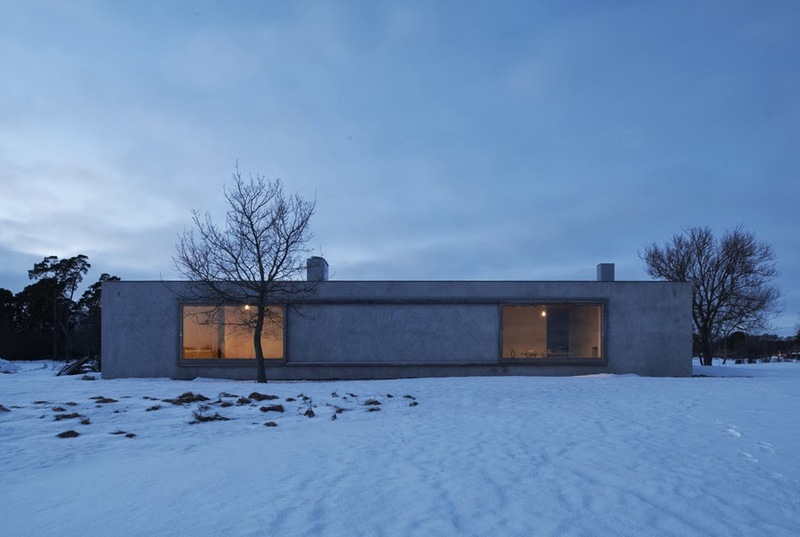 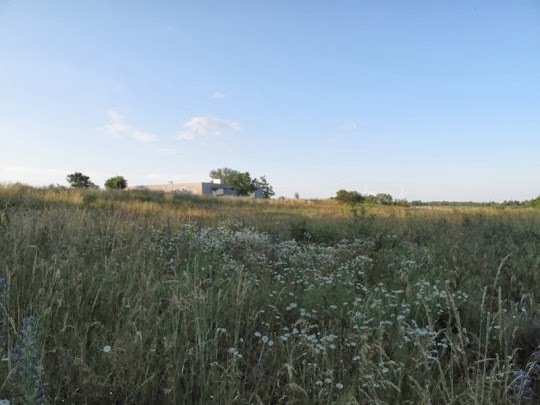 The house is planned around a completely enclosed atrium courtyard in an open, undisturbed landscape where sheep graze. 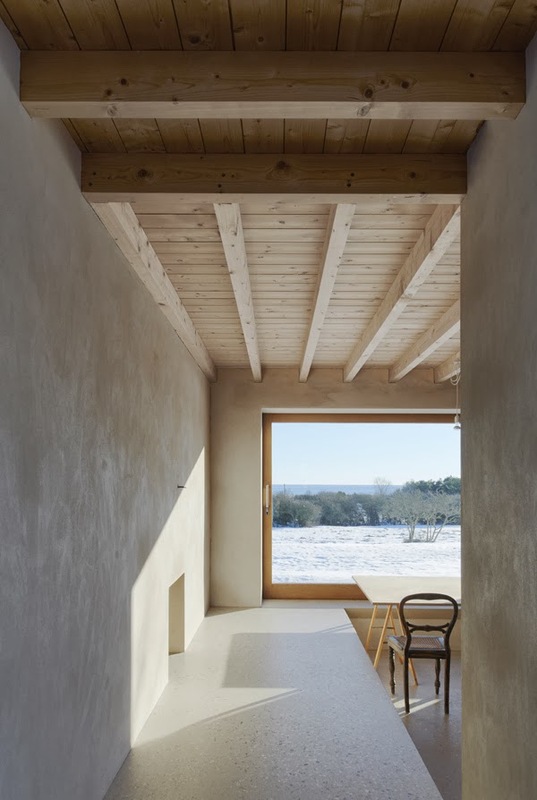 The house is narrow, but its openings outward are broad, which gives the interior the character of a sheltering niche in the open space of the landscape. 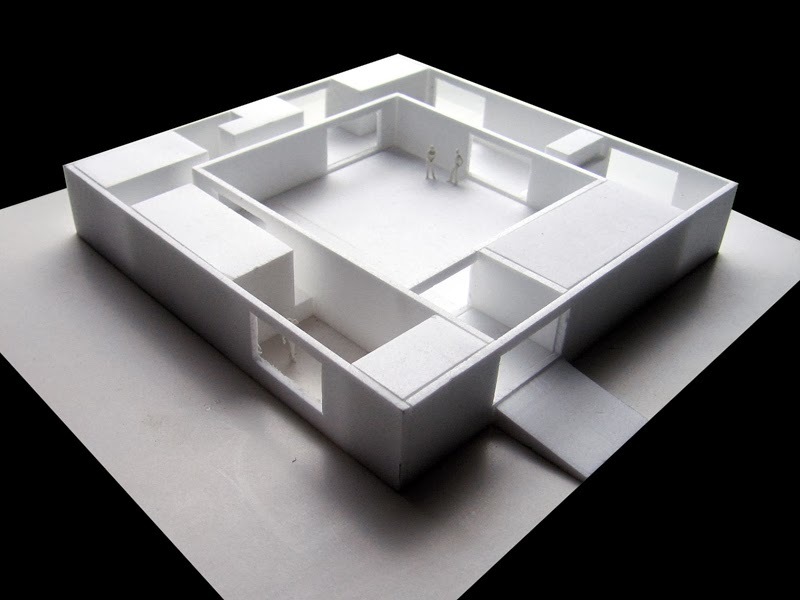 With a thin plan and large openings, the interior is treated as one continuous space. 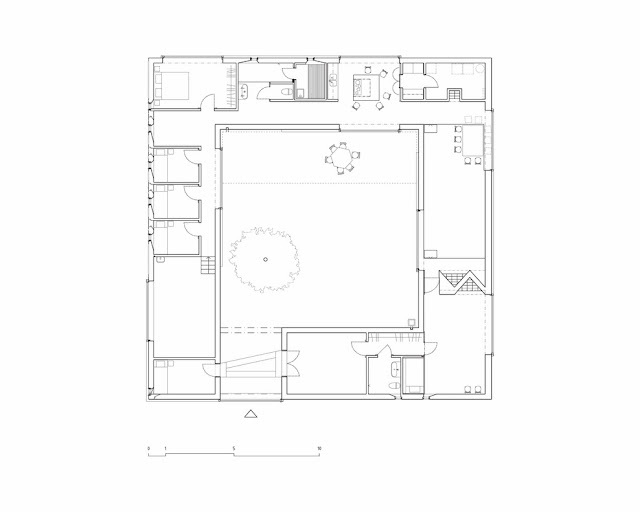 Floors in three levels relate to the slightly undulating land outside and differentiate the interior ceiling heights.